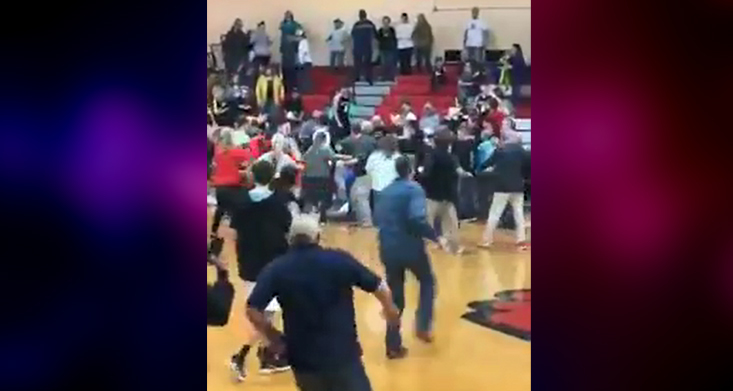 McNAIRY COUNTY, Tenn. — Tuesday night there were reports of a large fight between Adamsville Junior-Senior High School and Scotts Hill High School. According to the Adamsville Police Department, one student athlete on the Adamsville team needed medical attention and was taken to the hospital. The cause of the incident is currently under investigation, and local authorities say they will be pursuing charges against those involved. Adamsville’s principal Steve Killingsworth and Scotts Hill principal Beverly Ivy released a statement saying they will take appropriate actions once the investigation is over. Authorities say they will not be releasing the names of those involved until their current investigation is complete. Adamsville police are asking anyone with video footage of the fight to send it to their department.